discussion with New Members on all of the Club’s projects and how can they get involved. PP Bill should you be able to help out. 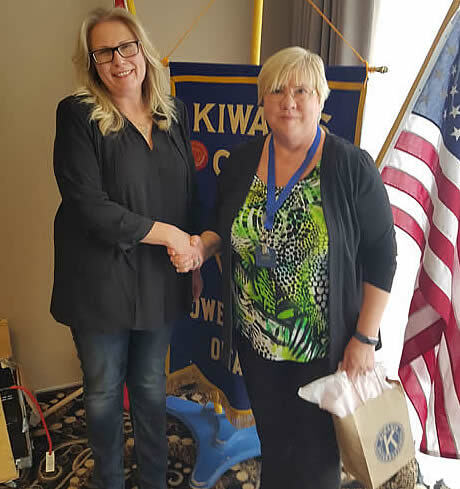 President Michelle Kobryn wielded the gavel to welcome 17 Kiwanians and four guests to the luncheon at the Best Western Inn on the Bay. Our door greeters were PP Gord Harris and K Penny Garvin. Guests included past Kiwanian Bert Loopstra, Jennifer Miller (guest speaker), Mary Lou Brown, (CAA Manager), Mark Hendry (Chairman of Kiwanis music Festival). PP Jack Tweddle won the lucky number draw...again. 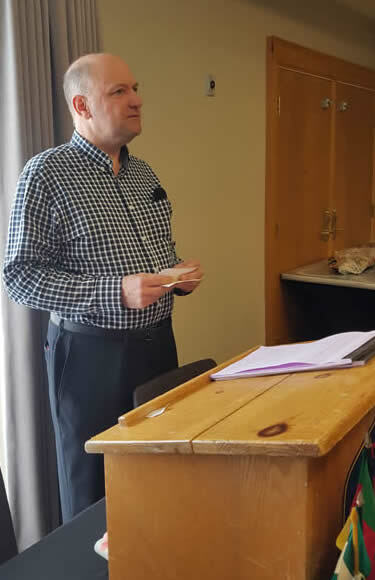 Festival Chair Mark Hendry (guest of Treasurer Fred Druyf) gave greetings from the Music Festival Board of Directors and thanked the club for its continuing support of the Festival which begins April 1st...no fooling. K Fred Druyf followed this by asking for Kiwanians to please support the Festival. He had a volunteer signup sheet for us to fill out. From door greeter, to secretary for the adjudicator, there are a variety of tasks that are not onerous and you can learn a lot about music. It is a great service project for us! K Colleen Trask-Seaman introduced Jennifer Miller who spoke to us about Big Brothers and Sisters in Owen Sound and about the Reach Program. 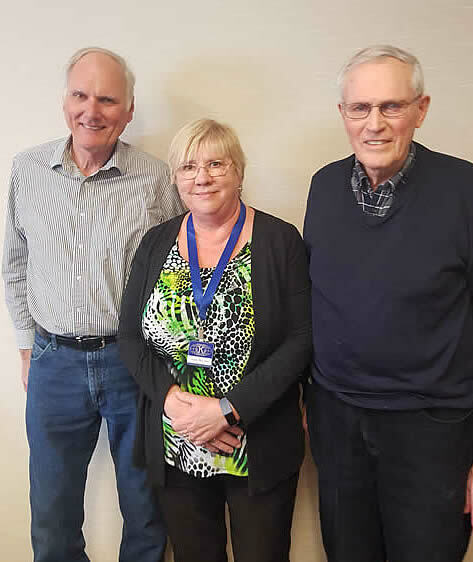 Jennifer told us that Big Brothers has been in Owen Sound for 60 years and has increased the number of children from 6-16 it helps to 112 this year. The program gives school supplies as well as 1 on 1 mentoring. It takes about $1500 per child each year to train volunteers and mentors, buy supplies and provide activities. Jennifer also spoke about the Grey-Bruce Reach Centre. This program helps about 30 young adults (18 to 35) who have development disabilities obtain meaningful work such as shredding paper and cleaning offices. PLG Linda Van Aalst thanked Jennifer on behalf of our Club for all the great work her organization does. PP Andy Drury was the Fines Master. Trips were the fines of the day. K Steve confessed to a month’s long vacation in Florida with K Flo which cost a mere toonie. Tim mentioned that he and his wife will be vacationing in Florida, leaving Owen Sound at the end of March, for one month. K Tim Brown also thanked Kiwanians for their best wishes to his wife who is now cancer free. K Fred Druyf confessed to a trip with Judy on a Florida cruise for just $1.50. K Alice Wannan paid $2.25 for the 5 day vacation in Vegas in January and a recently a 10 day vacation in Costa Rica. President Michelle confessed to a 3 day visit with her eldest daughter in Essex County. PP Gord Harris celebrated his 70th Birthday in Bognor on March 1st and happily paid for the experience while his ringing phone cost him. K Travis Dodd paid a happy toonie to celebrate leaving Nichols Insurance and starting work at Investment Planning Council. Twenty years from now you will be more disappointed by the things you didn’t do than by the ones you did do!